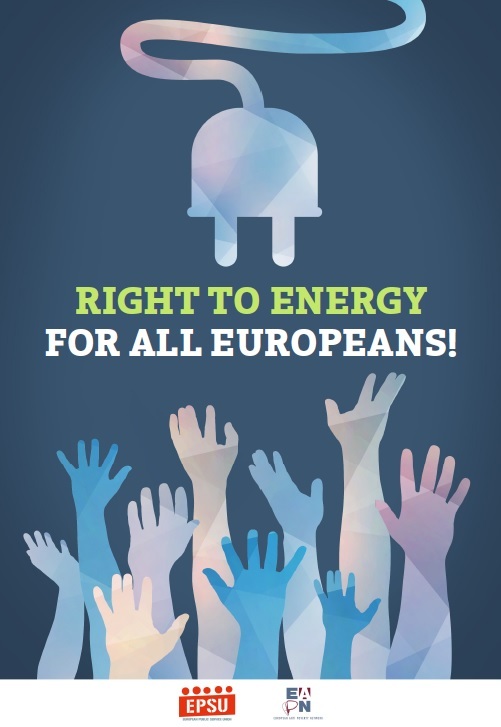 EAPN and EPSU (European Federation of Public Services Unions) have published a short leaflet outlining the key issues around energy poverty, and presenting key recommendations: Right to energy for all Europeans! Nearly 11% of the European Union’s population faces a situation of energy poverty. They are not able to adequately heat their homes at an affordable cost. A study, pub­lished by the European Commission, lists rising energy prices, low income and poor ener­gy efficient homes as the main causes of this problem. Rising energy costs make energy poverty a growing concern, particularly in the context of stagnant or declining dispos­able incomes. See EAPN’s working paper on energy poverty. Market liberalisation, long vaunted as an antidote to high prices, seems to have had the opposite effect. Many of our members are low paid or are on low income support and face or are at growing risk of energy poverty. To eradicate energy poverty in Europe, a right to energy for all citizens should be im­plemented in EU legislation. This would mean prohibiting disconnections, as is already the case in some countries for water services. The market is failing to guarantee affordable energy for all. The best protection against the vagaries of volatile energy markets, are regulated prices for domestic con­sumers. They should stay and not be phased out. Low income households should benefit from specific social tariffs in order to provide decent living standards. Nobody should be forced to choose between ‘heating or eating’. Public funds for promoting energy efficiency should earmark money to improve housing standards for low-income households with no extra costs incurred for the ten­ant. This would help to reduce energy consumption without increasing energy bills or housing costs. Low-income households lack the financial capacity to renew heating installations, in­sulate houses or buy devices to reduce energy consumption. Public subsidies are there­fore required. Investment in energy-efficient social housing must be a key priority. The Right to Energy for all by introducing concrete EU legislation banning discon­nections for vulnerable consumers at critical times. Stop the phasing out of regulated prices in the energy sector for domestic house­holds and support social tariffs for vulnerable customers. Assign an ambitious share of public investment in energy efficiency towards meas­ures targeting low income households ensuring no additional costs in housing or bills for these households.